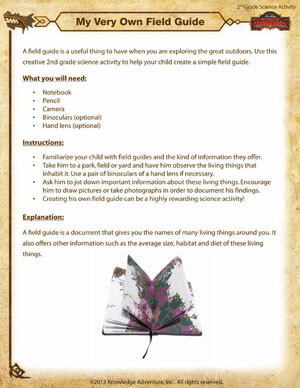 If you’re exploring the outdoors, a field guide is a very handy thing to have because it contains the names, habitats, diet and average size of many of the living things you will come across. Help your child learn how to create his very own field guide with this free fun 2nd grade science activity. And don’t forget to check out these free printable 2nd grade science worksheets especially designed for 2nd grade scientists.